Welcome to the first installment of Swatch Watch! I am Eva, ardent yarn enthusiast and filler of online orders. I love experimenting with new yarns and playing with color and fiber! 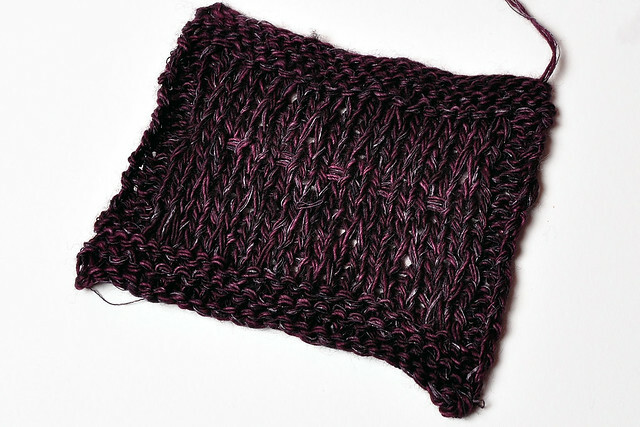 I know not everyone agrees, but for me, swatching is one of the most exciting parts of the knitting process. Every other week I will post a collection of swatches from the staff here at Knit Purl. With so much inspiration around here (and knitters with itchy fingers), I’m sure we will have plenty to talk about! 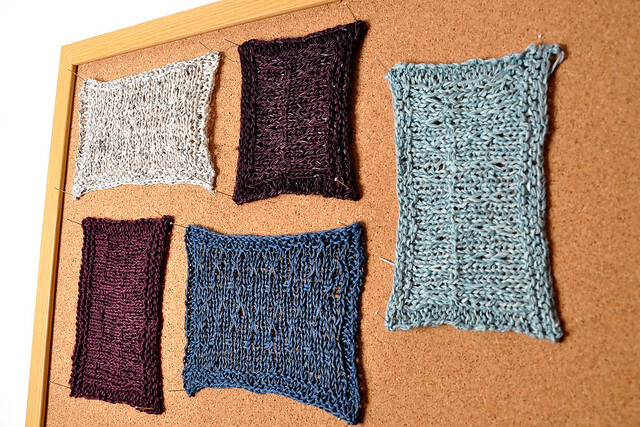 This week we will look at Sandy’s swatches made in preparation for her Rhombus Wrap. This versatile vest is from Ori Ami Knits, a beautiful book that uses a wide selection of yarns from Habu Textiles. Sandy did a great job of trying out some really unexpected combinations and the results are gorgeous! Here are all the swatches together. These were all knit on a size 7 needle and give a gauge of about 5.5 stitches to the inch. 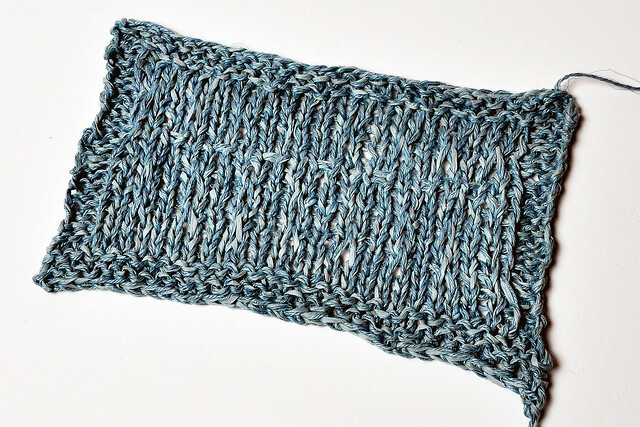 The stitch pattern used is called Float Stich, composed of stockinette and slipped stitches. This is the yarn specified in the pattern. It has great stitch definition and lovely drape. I had the good fortune of trying on the sample vest when we had the Habu trunk show here last March, and I fell in love! Sandy is currently knitting her Rhombus Wrap in this yarn. You can see her progress in the last WIP Wednesday post. 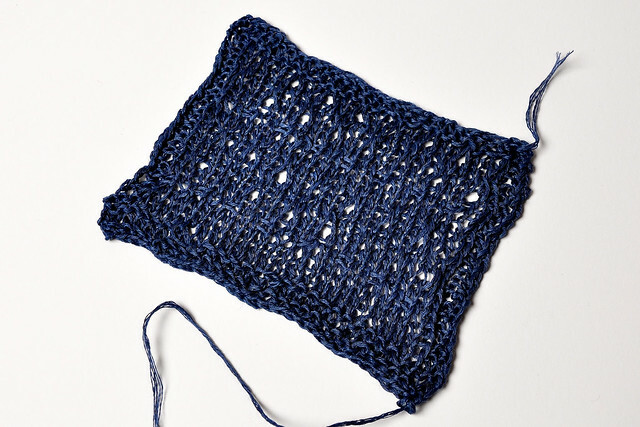 Other yarn ideas: Habu Cotton Gima, the unspeckled sister to Habu Aresco, would be a lovely option for a solid Rhombus. I love this swatch. The linen adds sheen and structure and the wool is soft and drapey. It would be wearable year-round in our temperate Portland climate, over a tank top in the summer and long sleeves in the winter. I might have to make this one for myself! This linen is a little heavier and more loosely spun than the Louet Euroflax. With additional washings, this fiber would soften beautifully. A Rhombus wrap in Montoya Beach Linen would be a summer staple! Other color ideas: A marled colorway of Montoya Beach Linen would give more depth and interest to the finished fabric. What a unique blend of fibers! The Habu Wool Stainless adds fiber memory and the Tokken Viscose silk lends some toothiness to the finished fabric. The Madelinetosh Prairie (a staff favorite) is soft and cozy. Knit together, these fibers create a gorgeous fabric that is soft and light. Other yarn ideas: 2 strands Isager Alpaca 1 knit together with 1 strand Habu Silk Stainless and one strand Habu Tsumugi N-76 would make similar (and equally interesting!) fabric. Crisp and light. This combination would be great for structured, modern garments. I think the N-75 adds an interesting texture to the finished piece. 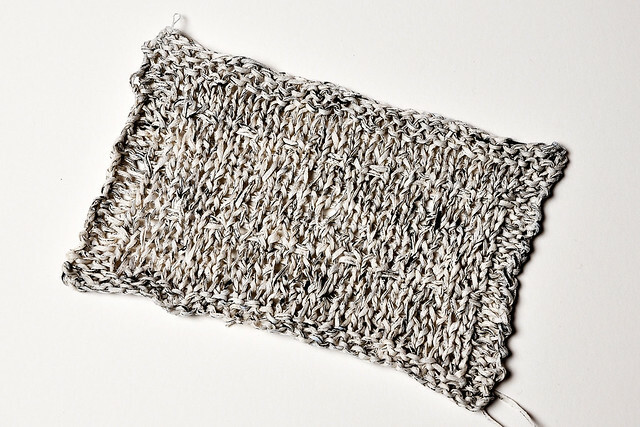 Other yarn ideas: Habu Shosenshi Linen Paper held with Isager Hoere would give a similar effect. Knit it in black for a unique and dramatic fabric! That’s all for today. Until next time, happy swatching! 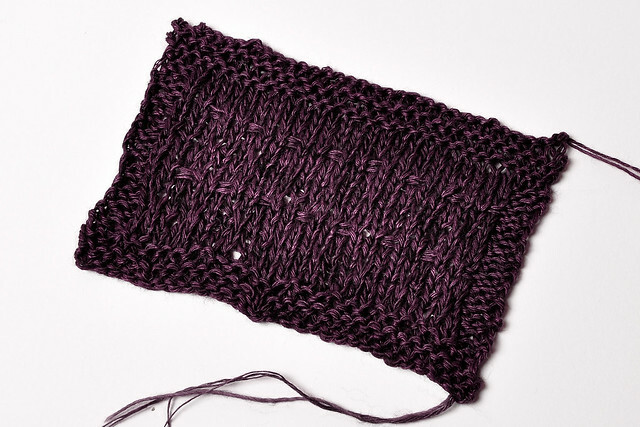 The post Swatch Watch – Rhombus Wrap appeared first on Knit Purl Blog.